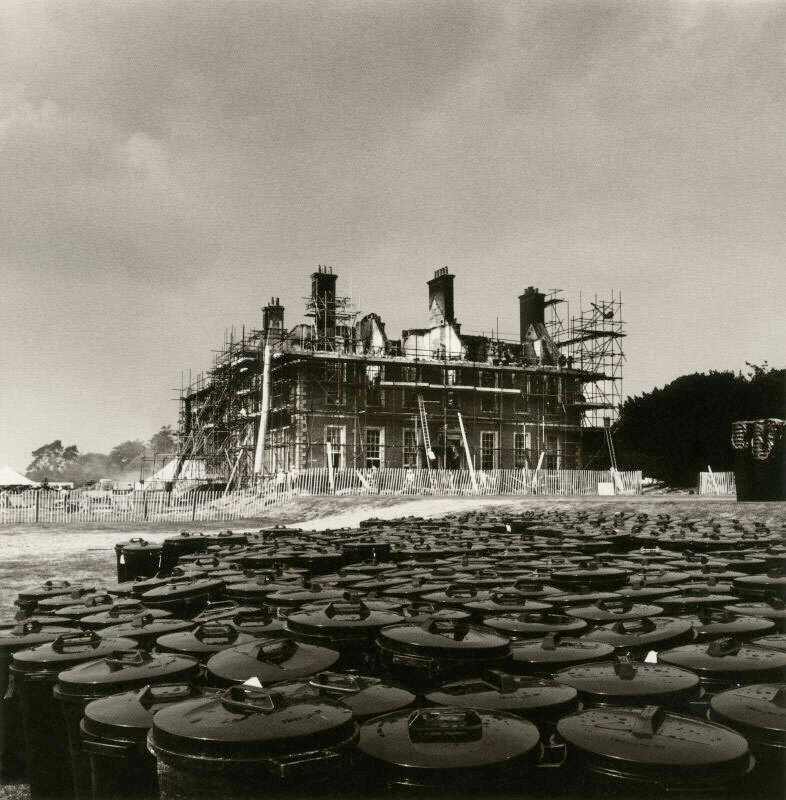 The National Trust’s Uppark House was ravaged by fire in 1989. 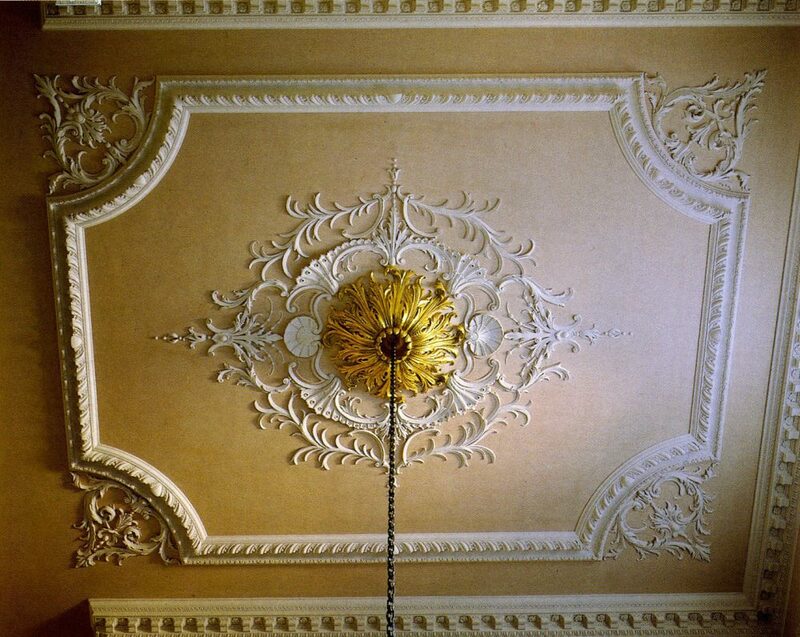 Geoffrey led the team of sculptors that restored the five state room ceilings. The project won the 1994 Humber Silver Salver for Plastering and the 1995 Conservation Award from the Institute of Conservation (ICON). 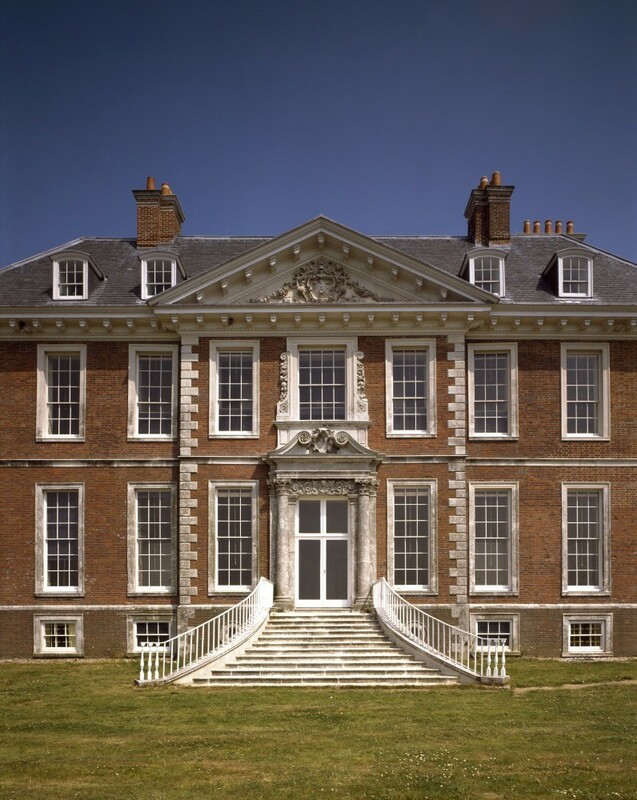 In 1989 a fire destroyed the National Trust’s Uppark House, in West Sussex. The fire caused the roof to collapse, taking with it five spectacular hand modelled stucco ceilings. 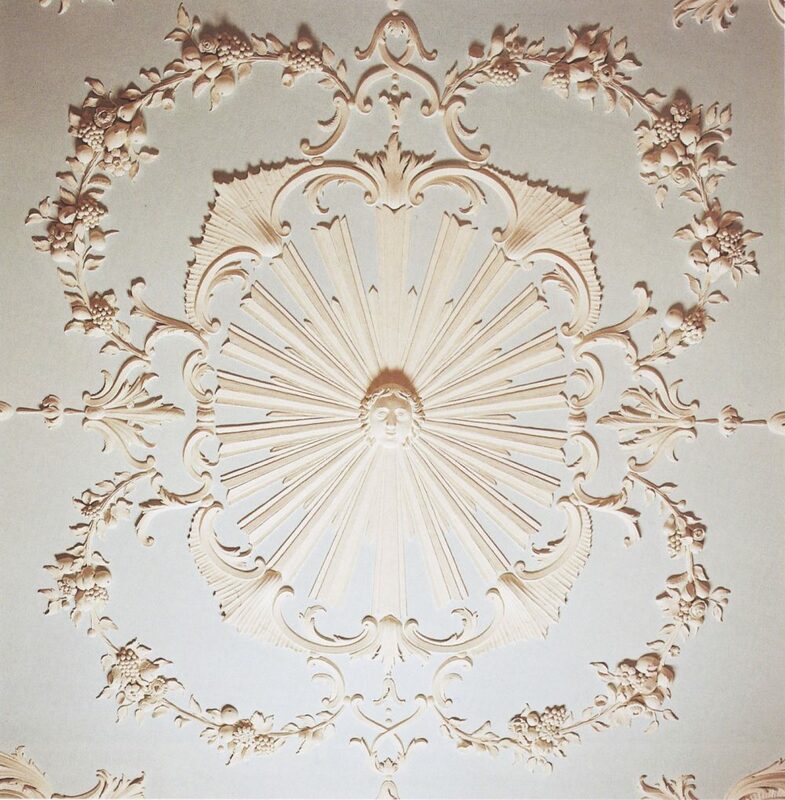 George Jackson Ltd, one of the oldest plastering companies in England, restored the plasterwork with Cliveden Conservation conserving the surviving fragments and remodelling the stucco. 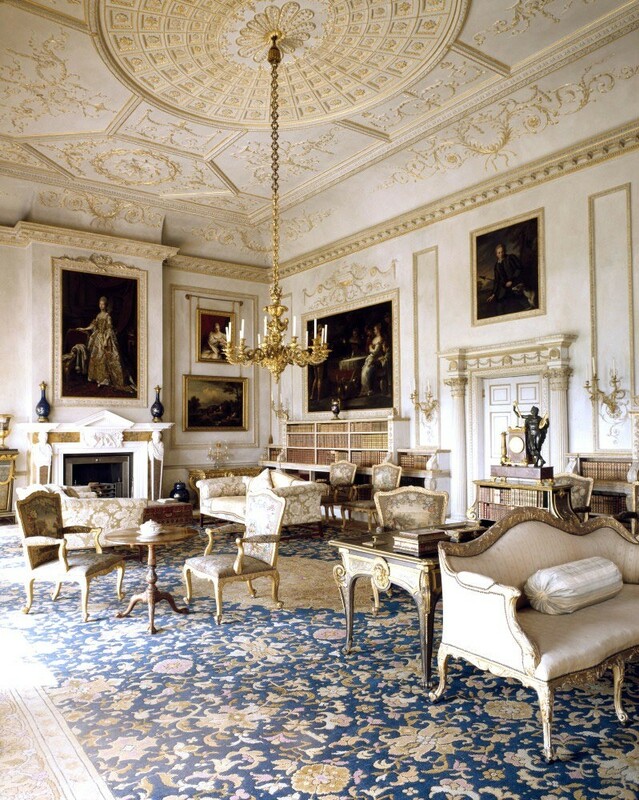 At the time, stucco had not been used in England for over a century, and the skills, recipes and techniques associated with it had all been lost. Geoffrey led Cliveden’s team of sculptors, spending 14 months modelling directly onto the ceilings from scaffolds. 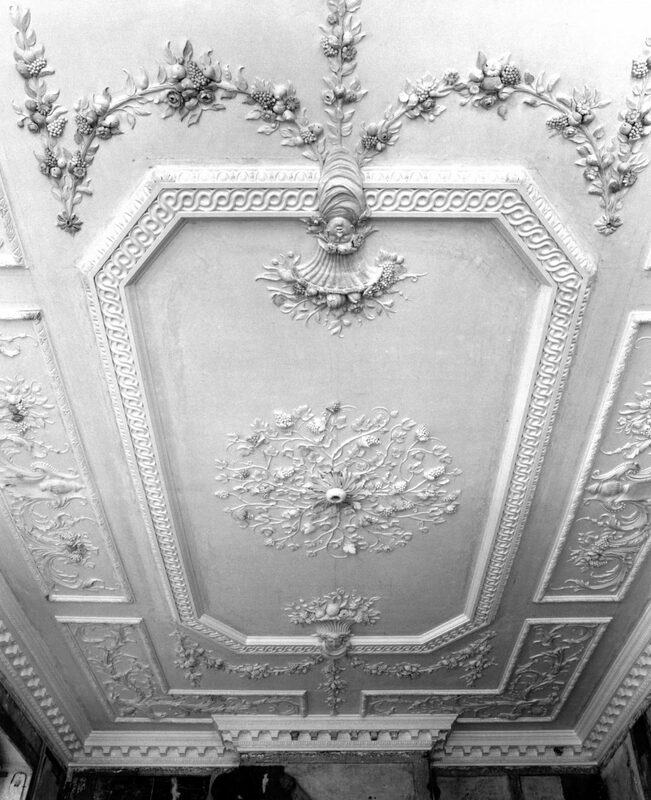 In the process they reinvented the art of hand modelled plasterwork. With thanks to the National Trust Picture Library for permission to reproduce Uppark photographs.